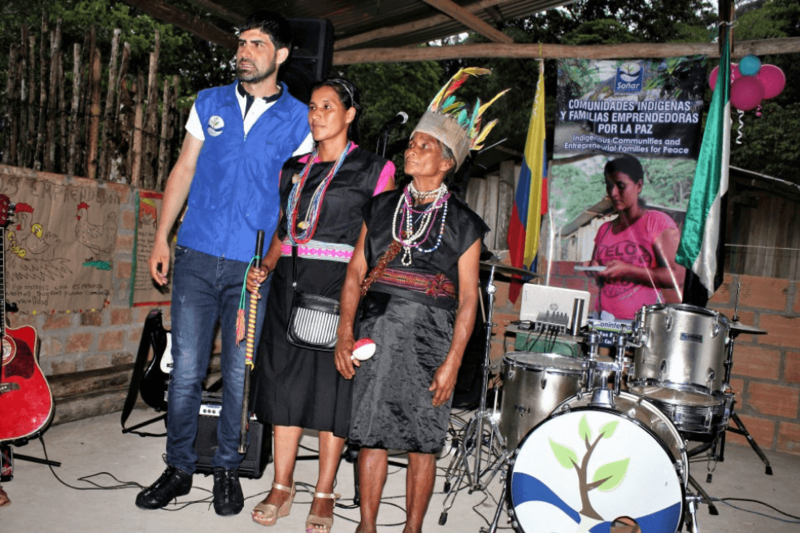 This social leader is the head of the program “Indigenous Communities and Enterprising Families for Peace”, which seeks to provide job opportunities to the victims of the Mocoa avalanche. I am a Bogota social entrepreneur, 35 years old, dreamer and passionate about his work, economist from Santo Tomás University and specialist in Government and Public Policies of Universidad de los Andes. I converted my social work into my life project, I have been serving the communities of southern Colombia for more than ten years, impacting around 16,000 people through social initiatives, which I have mostly financed with my own resources obtained from salary. What is “Indigenous Communities and Enterprising Families for Peace”? It is a program of entrepreneurship and financial education for indigenous communities, which in its initial stage seeks the economic reconstruction of the indigenous community of San Antonio Mocoa, a community from the department of Cauca, who have experienced double tragedy: displacement due to the armed conflict and an avalanche in October 31, 2017 in Mocoa, Putumayo. In the future, this initiative plans to become a business development bank for the indigenous communities of the country. How long ago was the project born? The development of the humanitarian aid campaign lasted more than fifty days and was created in support of those affected by the past avalanche in Mocoa, which thanks to the support of friends, businessmen and artists like Hassam could be carried out. During the campaign I met the indigenous community, I understood their condition and level of affectation, from there I promised not to abandon them and return to help them. This is how on July 15, 2017 I returned to the community to fulfill my promise and start this great dream and social project. How many families and indigenous communities have benefited? Forty families, with approximately 158 people from the indigenous community. How did you transmit the entrepreneurial spirit in this area of ​​the country? The music and the history of my life have been vital to motivate this region, where the constant struggle to overcome situations and difficult moments have inspired them to achieve their dreams, to believe in themselves, trust in God, passion and to struggle for the ideals to move forward and progress. You move people and inspire them with your example of life and fighting spirit, more than with the theory of a book. People identify when you love what you do, they perceive that passion for dreams, they know when you fight for an ideal, it is something that is transmitted and is contagious and then they want to be like you and want to follow you, and that’s where you start to create that entrepreneurial spirit. Through songs we inspire the communities of this region, we have a musical production inspired by the last avalanche and the indigenous community: “You to Move”, in memory of the victims. In December 2018 the anthem of the indigenous community was launched: “Mama Chindoy”, written by the community, which tells the story of its process. That is part of the reconstruction of his historical memory. What was the most complicated thing about taking the process with these communities? The most difficult thing in this process has been the distance, the resources to sustain the project and the low educational level of the community. 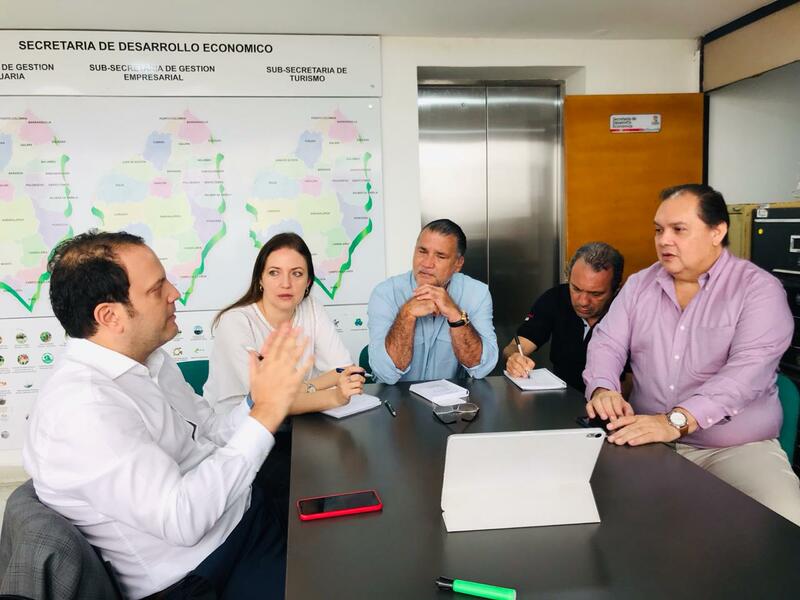 As a first point, I do not live in the territory, so, after my work, on Fridays I embark from Neiva on a bus to Mocoa for almost eight hours to arrive and give workshops on Saturdays in the indigenous community. Despite the distance, I never miss a scheduled appointment. A few months ago I settled in Mocoa to be closer to the projects that the community carries out. The issue of resources has also been an obstacle, since this initiative was born in a personal and altruistic way by the situation of the people of Mocoa, and since the year and four months that the project has seen, all the resources of the trips, materials, activities and musical productions have been financed by me. This situation has led me to participate in several calls and contests to seek help and give continuity to the project.This is how in the RECON 2017-2018 call, among more than a thousand social entrepreneurs in the country, my initiative was chosen and recognized as one of the three best social projects in the country, in the category of entrepreneurship and job creation, by important organizations and companies of a national and international nature, like the Swedish Embassy, ​​the United Nations Development Program (UNDP), the United States Agency for International Development (USAID), the Presidential Council for Human Rights and Grupo Éxito, among others. And, finally, the biggest challenge was the identification of the methodology to handle the entrepreneurship and financial education program with the community, due to the low level of education, which is reflected in the fact that 57% of the people have not finished their studies in primary school, and only 35% have some high school and 3% have no studies at all. How do the savings and credit teams work? They are self-help groups in which each member of the indigenous community has shareholder deposits of a monthly value in a savings bank, guarded by the same community. With the money saved, from the third month, you can apply for loans with specific destination for seed capital of your ventures, pay an interest rate set by the community itself and, additionally, the group constitutes a social fund where there is a minimum fee. Breaches of the regulations created by the group are charged with fines, such as being late for a meeting, not attending without a just cause or not paying a credit, among others. The resources of these fines, as well as community activities that generate resources, are injected into the social fund. At the end of the first cycle, which is nine months, the groups are liquidated, returning the shares and profits that rest in the social fund, which are redistributed fairly and starting a new cycle. It is successful because it leaves a capacity for the community to continue developing it. These savings groups have a maximum number of 19 people from the same community. This methodology of savings and credit groups was born in Nigeria in 1991 and has been implemented by international organizations and in Colombia since 2008 for the banking of opportunities, as strategies for the fight and overcoming of poverty. The innovation of this methodology, validated in the project “Enterprising Indigenous Communities for Peace”, is part of the development of the “Indigenous Bank”, which incorporates components of entrepreneurship and technological development with the Indigenous App, where each leader of the savings and credit groups feeds the information from a device or tablet to generate a score that measures the culture of payment. Through the virtual platform or online banking contemplated for the third phase of the project, the members of the community with only one signature or footprint without going to an office will request micro-credits from $ 100,000 to $ 800,000, which will be deposited in a bank account or with an allied entity, resources that must be used exclusively to strengthen their enterprises or productive units. With the Indigenous App, the community will also be able to create their online business plan, which will take them step by step to the development and creation of their business project. How many business ideas have emerged? Which generate the most impact? Thirty-seven business ideas have emerged from the project. The most impactful in the region is the online entrepreneurship of the sale of perfumes, led by the young indigenous entrepreneur Paola Vargas Chindoy, who employs several mothers who are heads of households and in her business project incorporates motivational and self-improvement talks, helping the change of mentality of people. 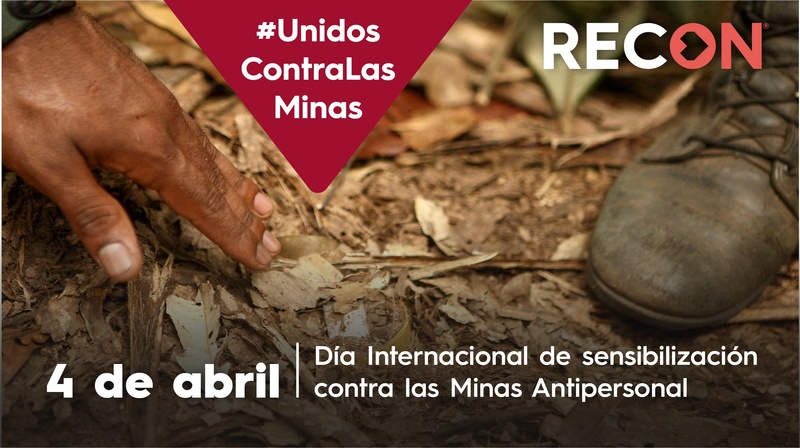 They have become a faithful collaborator, helping in all social projects and incursions that the social entrepreneur has had in the department, the most recent being a social intervention to more than 500 people victims of the armed conflict in the department of Putumayo. It has been a learning process to lead communities, thus becoming a strong candidate to lead several projects of entrepreneurship of the foundation planned in 2019. The idea of ​​the project “Enterprising Indigenous Communities for Peace” is that the leadership is replicated and the community is empowered by its own development processes in its own region. And undoubtedly the project that will have the greatest impact for the region is the so-called “Rural tourism with social meaning”. The old armed conflict extinguished for many years the beautiful landscapes and the natural beauty of Putumayo. In this post-conflict stage, this project wants people from all over Colombia and abroad to arrive in this part of southern Colombia and live a true experience, where through a tourism package (product in the process of creation with the community), they can create unforgettable experiences. It is expected that the tourist guides and lodging places will be within the territories of the indigenous communities with which the foundation is currently working, thus leaving resources for the development and progress of the community itself. The tourists will have to dedicate a day of social work with the community and they will be able to teach a language or offer a music class or recreational activity. Everything depends on the field of knowledge where the tourist is strong and can transmit knowledge to the community. The development of this project has had the support of students of the EAN University, who through their business practices with the foundation have been contributing to the construction of community entrepreneurship. This process is expected to involve the indigenous community of Yungillo, which has more than 1,600 members. What are the business ideas that most come up? The business idea that most emerges, with 43%, is inclined towards the breeding and commercialization of field chickens, in addition to artisan undertakings such as production of flip flops. They are low-complexity business ideas with little innovation, which has been a major challenge for the project. It should be remembered that the department of Putumayo, according to the Private Council of Competitiveness, Innovation and Business Dynamics, is one of the regions of the country with the lowest competitiveness indexes and ranks 23 out of 26 of places evaluated, which represents fewer job opportunities, showing the poor business dynamics and the lack of consolidation of public policies for business development in the region. What is reflected in the business are ideas of the community that arise from their daily life, but not a process of study or identification of potentialities and opportunities. Of the 9,145 companies registered in the Chamber of Commerce in 2015, 83% are registered as individuals, only 8% as legal entities and 9% as ESALES. The legal entities are the ones that have the best profile to generate formal employment. This shows the weakness of the Putumayo business sector, which is mainly made up of micro-businesses or informal businesses. This situation is compounded by the low educational levels of the population, the remoteness of relocation to urban centers where there are few employment and development opportunities, the difficult work adaptability of the population and the lack of consolidated plans and policies that promote programs of business promotion and training for work. One of the main challenges that the project “Enterprising Indigenous Communities for Peace” will have will be to incorporate innovation and development processes in the projects and productive initiatives of the community, in order to achieve competitiveness and sustainability over time, and in this way influence the development and competitiveness of the department. Talk about certification. What is the process like? Which entity helps you with the certification? 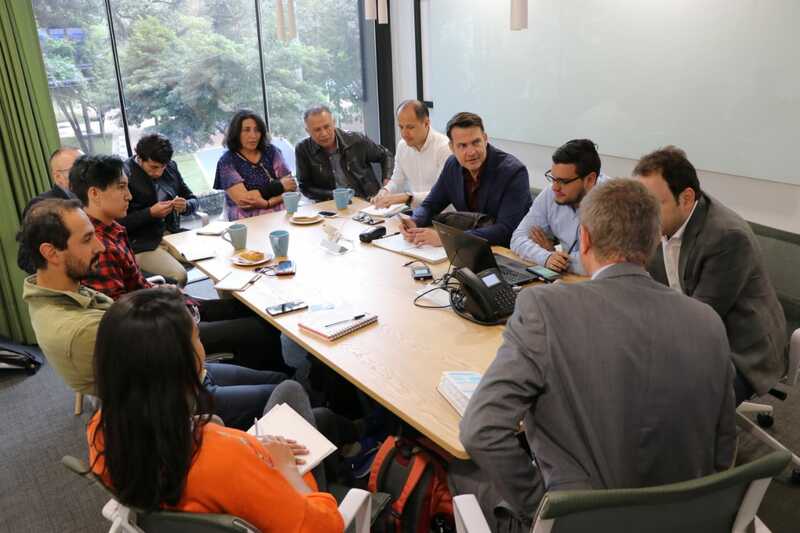 The certification in the first phase of the program was given by the Soñar International Foundation, led by a social entrepreneur, where some 42 people from the indigenous community in “Ideas de Negocio” were certified. On December 15, 2018, the second stage ends, where the best of the savings, credit and entrepreneurship program will be recognized. This event will take place in the Zonal Indigenous Organization of Putumayo (OZIP) and it is also expected to celebrate the Christmas of the indigenous community. The event will be open for people who want to participate or help. From November 15 you can find all the information of the event in the social networks of the social entrepreneur. How sustainable is the project and the work done by the community? As mentioned, the first part of the project is currently financed with its own resources, but thanks to Recon, through Impact Hub and the Athena investment fund, work is being done to strengthen the social business model to achieve sustainability of the project. This has been a great help and progress in this process. Do you think that this system is replicable in other areas of the country? They have already participated in the foundation of musical productions, have created ventures, have their savings, community credits and, most importantly, are training as leaders to replicate this same methodology in other indigenous communities. Before arriving to this community there were no dreams, but today hope has been reborn and the ability to dream is developing, but also the ability to execute. The model of sustainability of the project is by means of the administration of the virtual platform of online banking and the Indigenous App, through the payment made by each group to use the virtual platform and the return of microcredits with interests, which are expected to be below the market rate, together with the project of rural tourism with a social sense and a percentage of the utility of the enterprises contributed after the business exceeds the break-even point. These being the three main sources of income that are expected to be consolidated to guarantee the sustainability of the project. At present, there is no such program for indigenous communities in the country, so our future challenge will be to link thousands of indigenous people to indigenous banking. Of the more than one and a half million indigenous people in the country, approximately 63% live in poverty, who today expect innovative solutions to overcome poverty and progress. 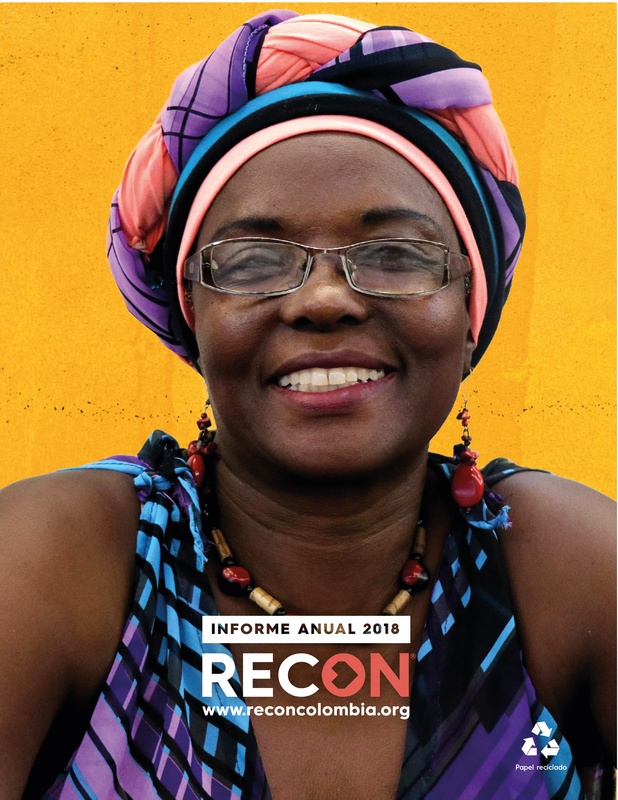 “Enterprising Indigenous Communities for Peace” in the future may be an interesting proposal to help these communities to overcome this; a help that for years the Colombian State has not been able to provide efficiently.